In a year that sees Bardolatry gone mad, festooned, it feels, from practically every lamppost, Forced Entertainment’s Complete Works is a refreshing variation. 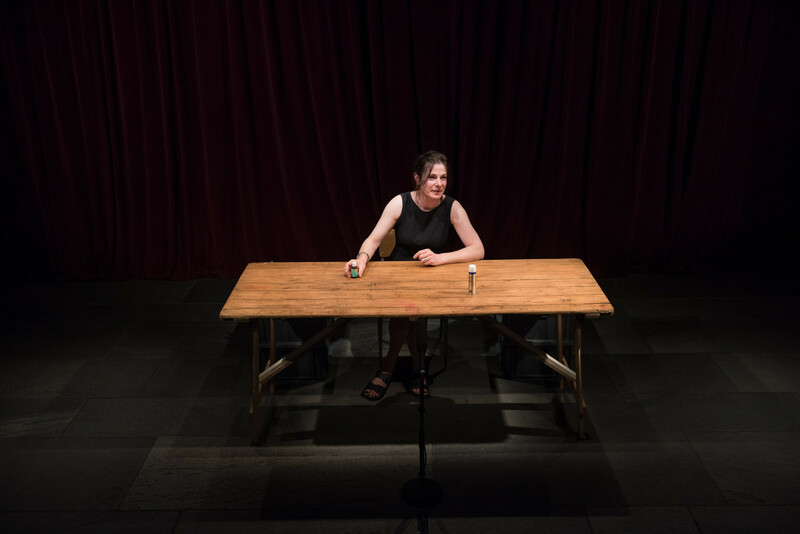 Thirty six performances in six days is a tall order by anyone’s calculation, an achievement of memory if nothing else. 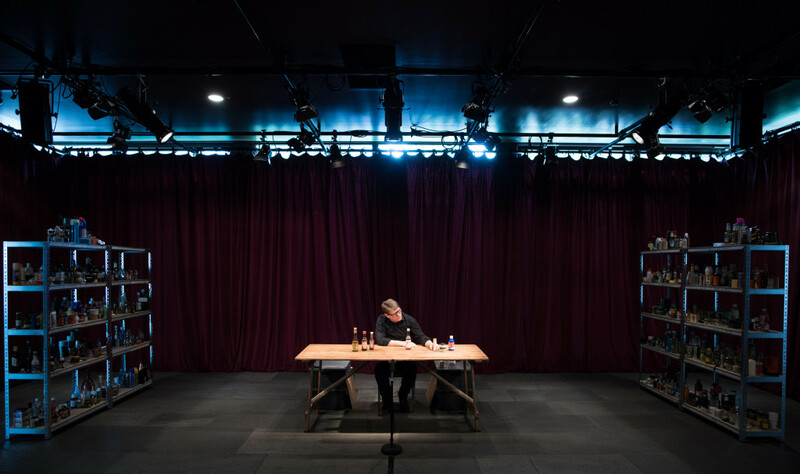 FE set about it with a will and although a mere three hours worth – Henry VI part II, III and Richard III – only sampled at this sitting, it was perhaps enough to get a sense of some of its strengths and weaknesses. FE have been the UK’s leading avant garde company for over 30 years. Such longevity poses the question, philospically, can you still be avant garde at 30 or in theatre terms anyway, in middle age? If less combative than some earlier work, this Table Top Shakespeare is nonetheless innovative in its own, emollient way. The key, it turns out, is not the cheeky idea of household objects and condiments used as stand-in for characters. Rather, in time-honoured fashion, it’s more about the storytelling qualities of the performer. Richard Lowdon is a master storyteller. He sits before his wooden table and introduces us to the squabbling nobles of England. A tall bottle of kitchen cleaner stands in for the Protector, the Duke of Gloucester, a pale, glazed bottle for the saintly King Henry, Sarson’s vinegar the scourging Queen Margaret of Anjou. Lowdon adopts a slow, measured, rhythmic pace, lulling us almost by hypnosis into a state of concentrated absorption as enemies change side, battles are conjoined and like pieces on a chessboard the household objects are marshalled and then dispatched. Lowdon is always in command and the narratives, pared down to a 50 minutes each fairly zooms by, the process clarifying the perplexing political and clan switch-backs in a way you’d never think possible. Ah, you think as a bright red bottle hoves into view, that must be Somerset. Less successful this time was Richard III. So much in the original play is carried by the entertainment provided by Richard’s character and the audience’s reaction to his villainy. FE make one or two modernising changes in the Henrys but Richard – a black plastic beaker – and his deformity is left unmodified and emerges as surprisingly bland. Sadly, the Complete Works ends this weekend. Hopefully they’ll get another theatre outing elsewhere (they’ve already been aired online). I’d love to have seen how Lear or the Comedies fared in their hands. And what young audiences made of them. Certainly the fairly full audience for Henry VI part II seemed to be lapping it up. The smaller audiences thereafter sat in more restrained silence. 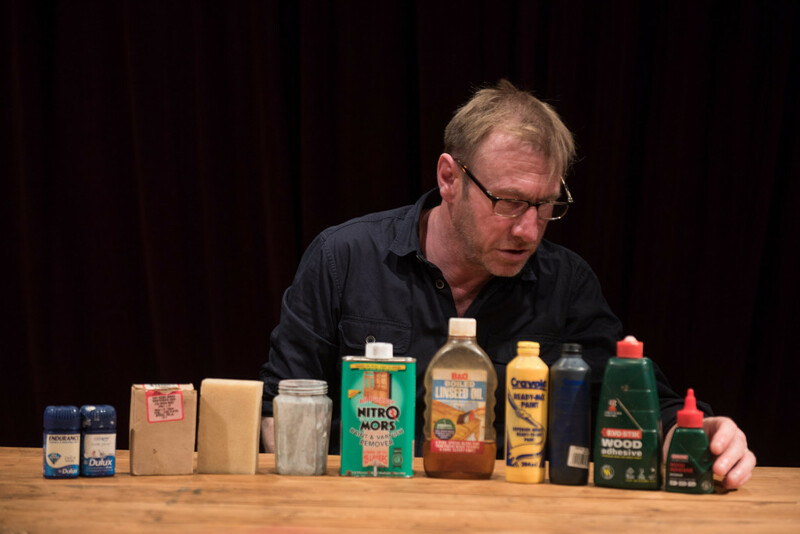 This entry was posted in 2016, Reviews and tagged cleaning fluids and washing up sponges star, Forced Entertainment, Richard Lowdon, Shakespeare on a shoe-string or rather, table top, the Bard, Tim Etchells, vinegar on March 10, 2016 by Carole Woddis.